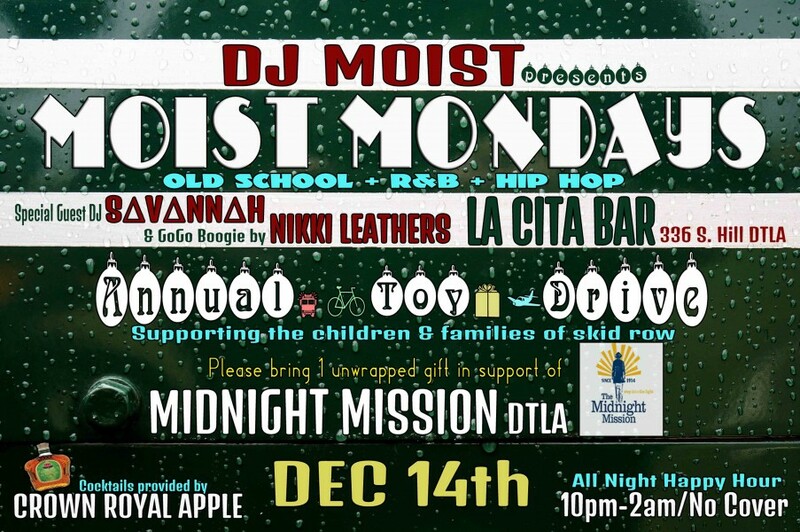 La Cita presents the Moist Mondays Toy Drive! Featuring DJ Moist spinning old school hip-hop and R & B plus special guest DJ Savannah and gogo boogie by Nikki Leathers! Please bring one unwrapped gift in support of Midnight Mission DTLA! Major parking lots 1/2 block north & south of us. Want to know more about upcoming events and ticket giveaways at La Cita? Sign up for our newsletter!